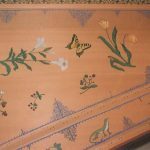 One of the joys of owning a harpsichord is that it is both a musical instrument and a work of art. 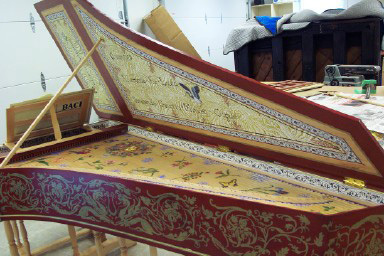 Between my own skills and those of my colleague, professional artist, and sister Nancy Spencer, your harpsichord can be an expression of you and your dreams. 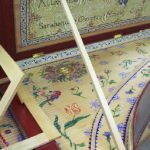 Soundboards: I can transform your instrument with traditionally based Flemish or French style soundboard paintings customized with your own favorite symbols, flora and fauna. 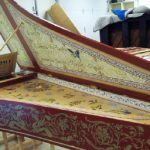 I use only natural pigments, making my own paints and ink in the traditional manner for unmatched richness of natural color. 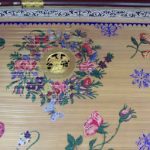 Flemish Papers and Mottoes: Your Flemish instrument will come to life with traditional Flemish papers, mottoes and arabesques. I can design a script, or you can specify a style you prefer. Custom additions welcome. 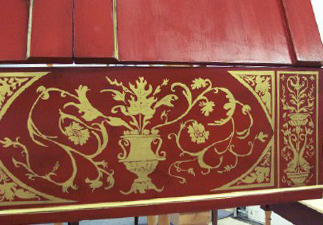 Lid Paintings: Traditional landscapes, custom scenes, chinoiserie, original designs by you or me. Design: Unsure of what you would like? I will guide you and create designs for you. Remember too, that some of my happiest clients have given me nearly free rein, not seeing the result until it was finished. 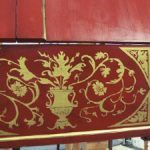 Case Painting and Design: I use natural pigment linseed oil based paints supplied by a family that has been making paints for over 150 years, hand brushed, and hand rubbed between many coats for natural depth and lustre. 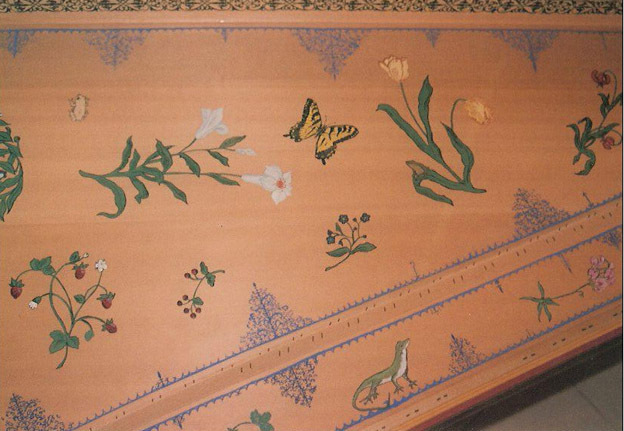 Natural pigment colors are unmatched in quality and beauty. 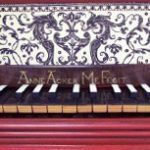 I do custom mixing to get just the right shades for your instrument. Even the simplest design of a solid case and contrasting interior should be a work of art. 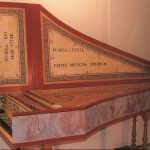 Faux Marbling: Traditional Flemish instruments often had a crude form of faux marbling. This can be supplied, but I prefer to create panels which look like actual stones for the perfect trompe l'oeil effect. 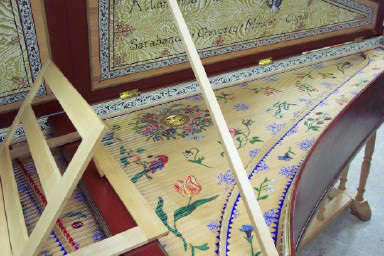 Gilding: Gold bands, gilded moldings and leg turnings take the ordinary instrument into the a special realm of beauty. 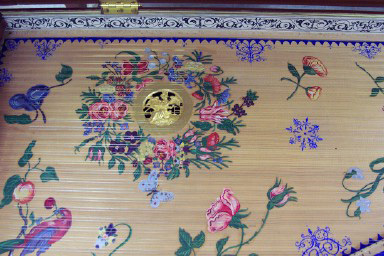 Extra ornamentation with traditional gold bands can make your instrument one of a kind in elegance. 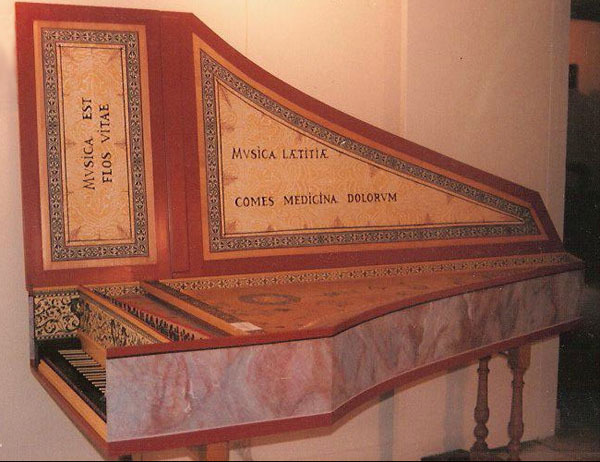 Custom Stands and Music Desks: Many otherwise fine instruments have unattractive stands and ineffectual music desks. I have reworked both for many happy clients.